I taught myself to crochet years ago, before YouTube was even a thought. I wish YouTube had been around - it would have saved me a lot of pulling out (of yarn and hair!). Teach Yourself to Crochet Using YouTube! I wanted to learn to crochet - though I wasn't sure if I wanted to outlay the cost of learning to crochet at a craft store in case I didn't like it. I Googled 'Learn to Crochet' - and came across some great You Tube videos teaching all the basic stitches! So I sat in front of the computer with You Tube playing and taught myself the different stitches for free! 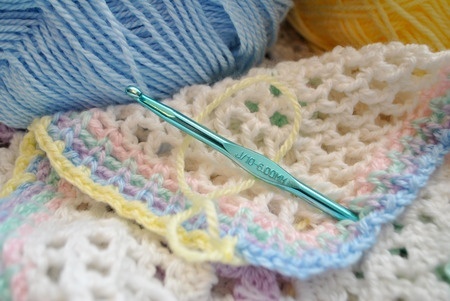 I then Googled "Easy Crochet Patterns" and came across some great websites. I bought the yarn at discount stores to begin with - in case they didn't turn out. So far I have made a scarf for myself for $3, and child's beanie for $5 and a baby blanket for a gift - which will cost me $12 in total! I am currently making a pair of baby 'ugg' style boots - again about $3 to make and made in about an hour! I get the patterns for free on the Internet - and if there is stitching or terminology I do not understand in the pattern I Google the name of the stitch with 'how to crochet' following it and I always find a website with photos on how to complete that stitch. I am definitely hooked on crochet now! Clever girl teaching yourself to crochet. As an additions to your baby ugg boots look up baby crochet cowboy boots in your tube. I made them for my Grandbub due later this year. Super easy to make and follow along. I have taught myself to crochet using YouTube as well. You can even crochet complete patters. Just follow the videos. It's great. And yes only money you need to spend is on the yarn. Congratulations, crochet is so much fun, just be aware that American stitch terminology is not the same as British which is what we use in Australia.